Posted on May 31, 2013 by Kyle H.
Harry Potter and The Lord of the Rings are my favorite book series that have been turned into major motion pictures, and I think there can be an argument about which are better: books or movies. The Harry Potter series is my favorite book series of all time, and I think the books have a lot more to offer than the movies. Movies can’t be too long or else your eyes would explode, so the producers and the directors shorten the actual stories and leave out some scenes, details, and even characters. For example, in Harry Potter and the Sorcerer’s Stone, there’s a very exciting scene from the book when Harry and Hermione are on their quest to find the Sorcerer’s Stone. After making it through the giant Wizard’s Chess set, they come across a table with a variety of potions. With only a riddle for their clue, they have to figure out which potion would allow them to continue safely versus which of the potions would send them back or even kill them! I was so disappointed this scene was not in the movie because I really like how Hermoine uses her logic to decipher the riddle. When I read these series, I imagine what the characters and settings look like, but when I watch the movies I am seeing what the director visualized. In The Lord of the Rings, I imagined Helm’s Deep is a big, magnificent castle in a big, prosperous kingdom. But, when I saw the movie, it was a long wall with only one tower, one passageway, and only offered the refugees one small cave in the mountain behind the castle. With The Lord of the Rings and Harry Potter series, I love the books because I can use my imagination to create pictures of the characters and scenes in my mind. But I also enjoy all the movies because the action scenes are a lot more intense than I would have thought… which is a good thing! Plus, all the cool background music adds to the intensity! 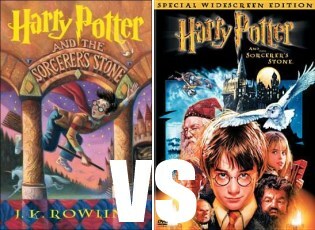 Overall, both the books and the movies have their advantages. Personally, I always read the books first so I can have fun creating the imagery myself– but then I like to watch the movies and see how someone else looks at the books. And all the cool special effects and computer graphics are really awesome! What do you think? 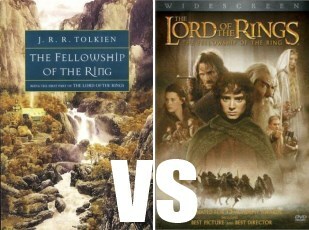 You can leave a comment below and tell me which you think are better: BOOKS or MOVIES? 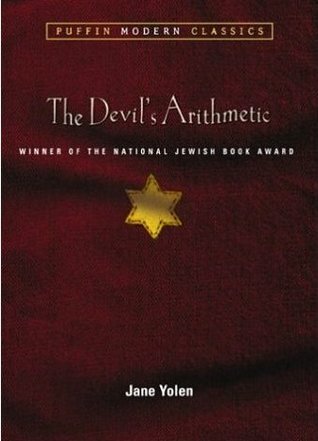 Posted on May 30, 2013 by Melika R.
The Devil’s Arithmetic by Jane Yolen is a wonderful historical fiction novel that takes the reader back in time to the Holocaust. In this story, we follow a modern Jewish girl that goes back in time. She goes into a concentration camp and you will see all the hardships endured there. You will see betrayal, love, and some misfortunate events throughout the story. You will also learn the true meaning of life: always do what you believe in. It doesn’t matter what other people think or say. It’s what you think is best for you that you should do. Jane Yolen teaches us this helpful message through everything that these Jewish people had to go through. I would recommend this book to anyone between the ages of 11 to 14. It is truly a very touching book and it will help a lot in understanding their lives. 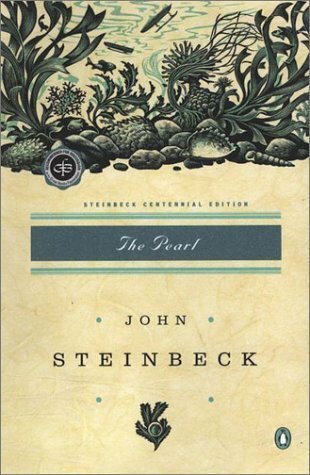 This book was the winner of the National Jewish Book Award in 1989. I highly recommend that you read this book. I know that you won’t regret it. This book will teach you many life lessons. One of these life lessons will teach you how fortunate you really are. Like Gandhi once said, “First they ignore you, then they laugh at you, then they fight you, then you win.” The Jewish people did win. 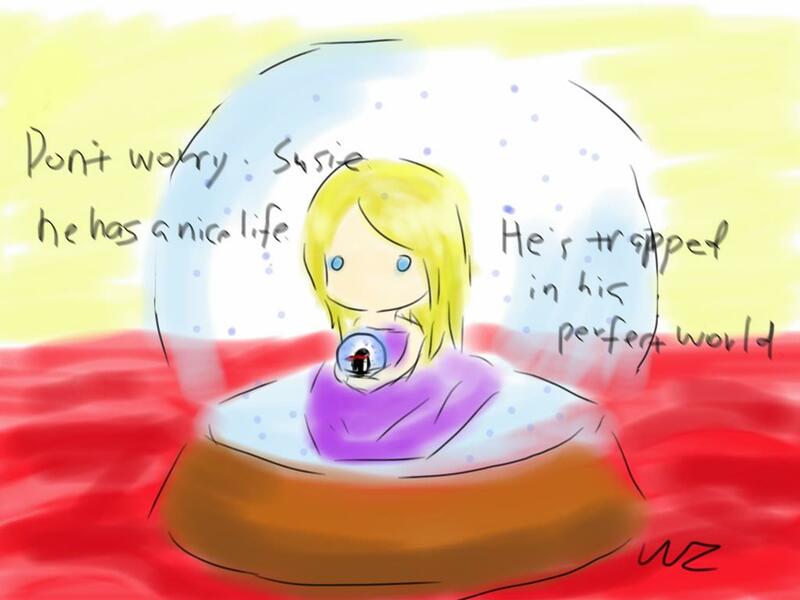 Posted on May 29, 2013 by Wenqing Z. The Lovely Bones is one of my favorite books. The main character, Susie, tells the story from a unique point of view– she is dead, and tells the story of her dear ones from Heaven above. The concept of Heaven and the usage of flashbacks are the highlights of this book. What will happen to a family that loses one of its members? What will happen when this girl dies but still has the chance to watch her family while she’s trapped in her perfect heaven? Posted on May 28, 2013 by Danielle K.
After losing her parents in the devastating Spore War that killed everyone amid the ages of twenty and sixty, Callie and her sick little brother, Tyler, are forced to live on the streets as unclaimed minors, scrounging for food and fighting off renegades with the help of their friend, Michael. After struggling to keep Tyler alive with his rare lung disease for nearly two years, Callie agrees to work for an organization called Prime Destinations, where she is promised a great affluence of money, medication, and a home subsequent to her service. However, she soon learns how corrupt Prime Destinations’ intentions really are; they hire donors, poor Starters with no relations, to rent out their bodies to Enders, who then seize control of their brain and bodily functions and get to enjoy the thrill of being young again. But when something goes wrong at Prime Headquarters, Callie must fiddle with fate and soon discovers who she can trust: absolutely no one. Starters by Lissa Price is an absolute page-turner that will hold you in suspense until the very end. I was admittedly surprised many times throughout the whole story, especially at the end. Although the war is scarcely described, the history of the post-apocalyptic Los Angeles setting is well explained in a conversation about a quarter through the novel, up until which I was extremely confused. The characters are exemplary, and I felt I could relate to them well. I liked the brother-sister relationship between Callie and Tyler; he is hopeful and believes in her to keep them both alive. Callie does have a potential love interest, but the romance in this book is suppressed and doesn’t overpower the principal storyline. 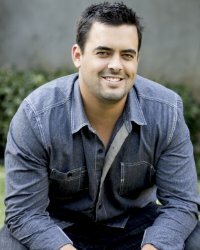 Starters is a positively sensational and suspenseful novel, and I think it will appeal to a wide variety of readers; I especially recommend it to fans of The Hunger Games by Suzanne Collins or Divergent by Veronica Roth, due to its futuristic world-building and strong female protagonist. Posted on May 24, 2013 by Cameron S.
I should start out saying this is my first real manga that I ever read, or at least, entirely to as much as I could. It helped form my current opinions on the style of Japanese comics. It is also the first time in a long time I wanted to skip reading a part in my book. Now onto the book itself which is overall very good and done well. The art style isn’t well used outside of the weaponry in my opinion. That being said, when it is used well it is downright fantastic. The weapons all look unique and special giving them all a reason to be remembered. I think the characters could be a bit more fleshed out, but it put them at a great starting point. The story is well crafted in its entirety, and I personally really like it. The next issue is even better, and this one is worth a look. 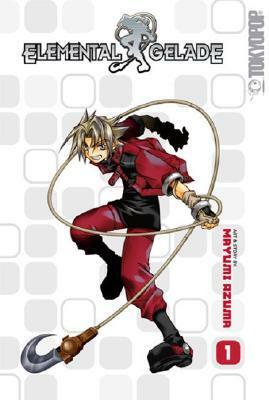 Overall, I give this volume of Elemental Gelade a 7/10. A great manga. If you think it’s worth a shot I give it a full recommendation.